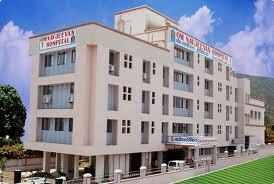 Description: Sanjeevani hospital is a multi-specialty centre and has been successfully functional since last 7 years. It offers medical services in anesthesiology, cardiology, child-care, cosmetic surgery, dental treatment, skin treatment, ENT, eye-care and maternity. 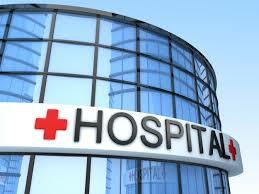 It also facilitates emergency cases, accidents along with their distinctive neurology department setup. It has a fully-functional advanced radiology department with x-ray, ultrasound, ECG and much more to offer. This hospital specializes in eye-related treatments with numerous services under it. They offer LASIK eye surgery, carry out surgeries for fitting contact lenses and operate cataract on general level; while on advanced facility-level they expert in glaucoma surgery, IOL implantation and Eye Microsurgery. Due to their extended surgical facilities, they have a supportive staff and all sorts of needed assistance to ensure a pre- and post-operative care. The centre also hails having done the Phaco surgery successfully for over 35,000 patients. This hospital functions 24 hours and has beds offered to the patients. This hospital has gained repute with its best available services offered in allopathy, homeopathy and ayurveda all at one centre. It has efficient and dedicated staff to be available throughout in addition to all latest eye-surgery related equipments.